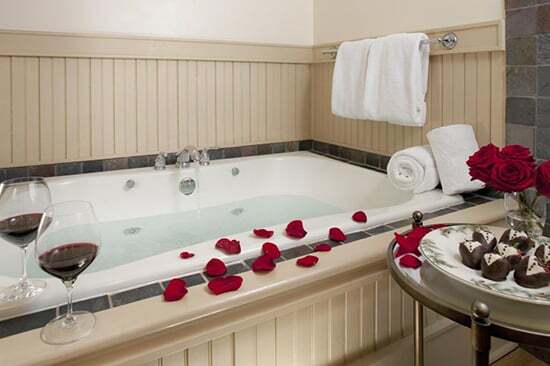 The seventeen guest rooms of our boutique Adirondack hotel are individually decorated and luxuriously appointed with your comfort in mind, perfect for an upstate New York romantic getaway. 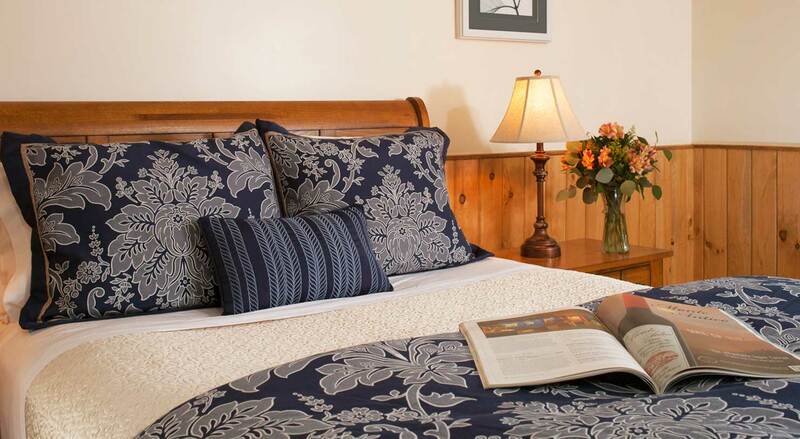 The style of each room ranges from a warm country inn decor to the more rustic, but sumptuous, “Adirondack” rooms. Each room with its own distinct personality, yet all offering romantic getaway accommodations in the heart of New York’s Adirondack Mountains. 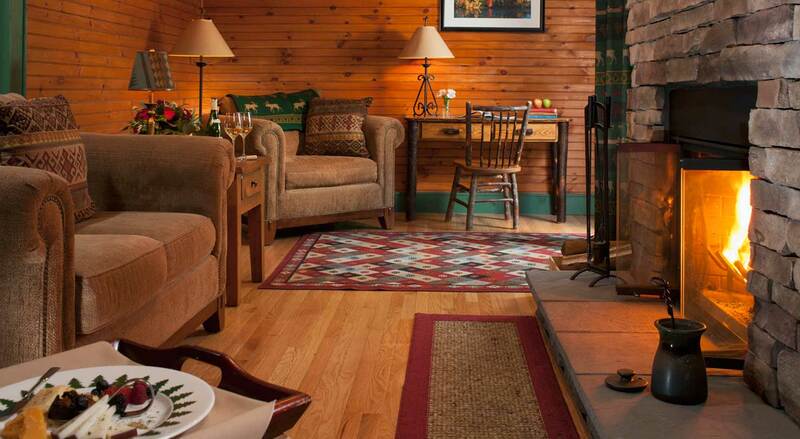 Enjoy exceptional Adirondack lodging and the unmatched service at our inn. Our Adirondack, Luxury and Lodge Rooms differ in price according to the varying amenities. All contain at least a queen bed or better, private bathroom, and an outdoor view. Many include a Jacuzzi, balcony, fireplace, magnificent views and other pleasurable luxuries. There are two prices listed. The Dining Package Rate includes a three course dinner for two each evening, which may be enjoyed in our main dining or our casual tap room, in addition to our made-to-order breakfast. This represents a special value to our guests who choose to book their dinner reservations at the same time as their lodging, and reservations times will be confirmed in follow up correspondence. The Bed and Breakfast Rate includes breakfast only. Children: As a gentle reminder, Friends Lake Inn is an adult oriented property with few facilities geared towards children. Please call for more information. Televisions: In keeping with our tranquil Adirondack setting, our Lodge guest rooms do not have televisions, however we do have a television in our Billiard room. 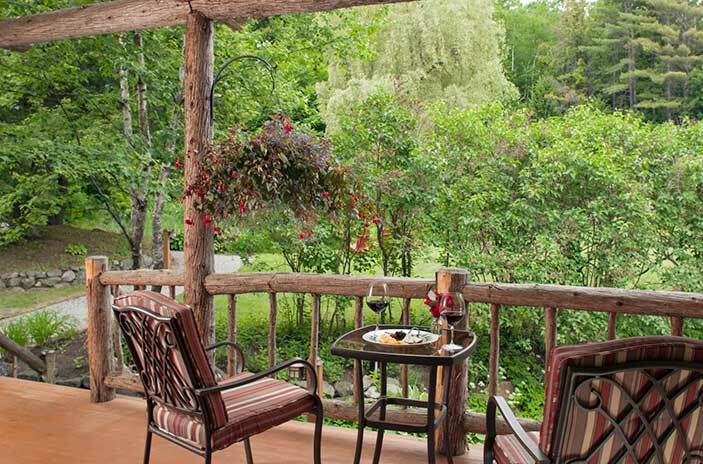 Rates: All rates at Friends Lake Inn are based on double occupancy. Single Rates are available upon request. Some time periods require a 2 night minimum stay. “High Season” rates (July, August and holidays) may vary, please call to inquire. Deposits: A valid credit card is required at the time of reservation. To confirm a reservation for one night a 100% deposit is required at the time of booking. Greater than one night stay requires a 50% deposit. If there are fewer than 14 days remaining before your arrival, the full 100% deposit is required at the time of booking, regardless of the number of nights you will be staying. If you would like to use a gift certificate please call the Inn to reserve your room. Gift Certificates can not be applied when booking online. Dining: A standard 18% gratuity will be added to all restaurant charges on the pre-tax amount & billed to the room. Please sign your name & room number to your check. Arrival and Departure: Rooms are available for check-in at 4:00 pm. Departure is at 11:00 am. You are welcome to arrive at any point on the day of arrival to use our property & facilities, however we cannot guarantee room availability before 4:00 pm. We would be happy to help you plan fun local things to do and sites to see while you wait. And of course we will store your luggage in the event of early arrival or late departure. Cancellations: Due to our intimate size, cancellations affect us significantly. A last-minute cancellation gives us little chance of filling space due to our remote location. For these reasons we uphold a strict cancellation policy. If a cancellation is made 14 days or more prior to your arrival date, or 60 days or more during peak periods (June- October and holidays) you may receive a refund of your deposit less a $75.00 processing fee. If a cancellation is made less than 14 days or 60 days during peak periods prior to your arrival date, regardless of when you booked, no refund will be possible as we will have turned away many other potential guests. All deposits are non-transferable to another date if you are within 14 days or 60 days during peak periods of the reservation date. You are always welcome to send a friend or family member in your place. Should it be necessary for you to depart earlier than your confirmed reservation dates, you will be responsible for all of the original room nights booked from your intended stay.